Becki has many years of experience in kids work both as a volunteer and church staff member. 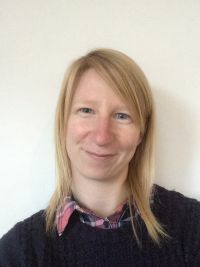 She is currently the Children and Families worker for Christ Church St Albans, where she oversees and supports all their work with 0-11s and families within the church and the community. She is hugely passionate about seeing kids encounter God and enter into their own personal relationship with him and equipping parents to disciple their children at home. Becki is gifted at facilitating times of worship and hearing from God with kids and is extremely good at making shaving foam pies! Away from church she enjoys a slower pace of life, spending time with her husband, chilling out in coffee shops eating cake, watching `Friends` on Netflix and in moments of madness you can find her at the gym!